When I was in college studying philosophy and religion one element of learning was prevalent: be in the moment. It was not necessarily a critical component to any thought or thinker, rather it was a means by which the subject matter was understood. Historical understanding of ideas aside, experiencing the idea for yourself, in your own time leads to a greater understanding of the thing. How often is a thing considered based on what it might be or what it might influence? In turn how often is the present influenced by that perception? But there are also past burdens. Things which we assume as future concerns and as such we respond without consideration as to their relevance. Being in the moment means being mindfully aware of what is going on right here and now, in our experience, and this includes any thinking we do about the past or future. Much of the time our experience does not have this quality of awareness or mindfulness. A lot of the time we are like robots, automatically living out habitual patterns of self-pity, anger, wish-fulfillment, fear, etc. These habitual tendencies take us over and run our lives for us – without our being able to stand back and decide whether this is what we actually want to be doing. It can be a real shock when we start to realize just how habitual and automatic our lives are, and when we realize how much runaway thinking leads to states of suffering. My friend Chris Gandy is a welcomed mentor in my endeavors, reminding me not to get caught up in the fallacies of past and future considerations. When posting stories on Facebook he will sometimes direct my attention to the purpose of the sharing and ask that I simply be in the moment, then move on to the next experience. Not to have “runaway” thoughts. It is not unlike Jesus’ parable of sowing seeds. Being distracted from the path is so easy when we become consumed by the other person. Obviously the concept is far more complicated than the few words above but they serve as a frame to the greater discussion. 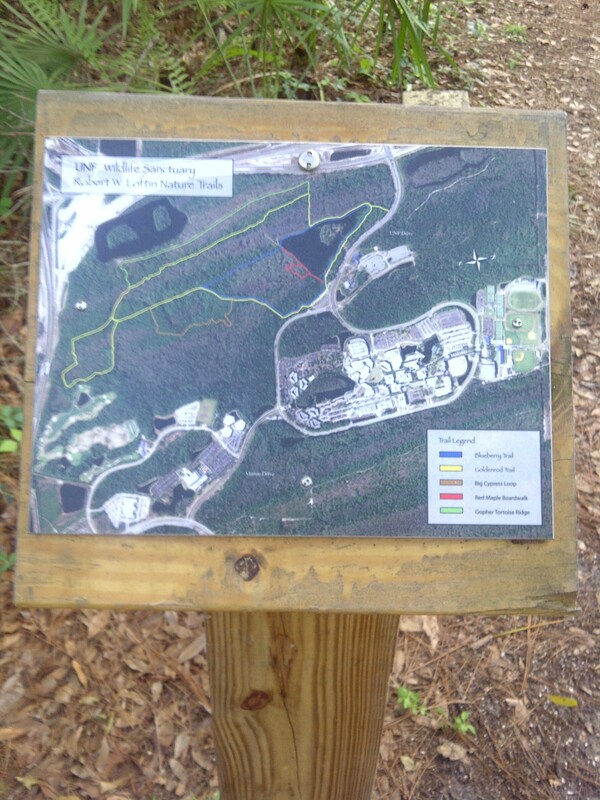 It was with this in mind that I mounted my 2005 Trek, loaded up the Osprey Raptor and headed to UNF’s nature trail. There was roughly four hours of daylight left on this Sunday the first of April. For me it served as the demarcation point of winter to spring. Recently I had registered for the Jax Tri series and a 16 week training schedule was peering at me from Monday. The mind needed to purged and combining that cleansing with a slow 13 mile training ride happened as needed fact. Rather than write of the time I will allow still moments obtained with my Blackberry 9000 to steal the credit.